G’day, folks! 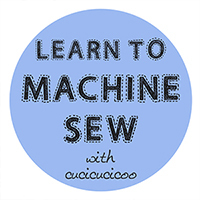 In my Learn to Machine Sew series for beginners, I pair up a practical tutorial with every techinical lesson. 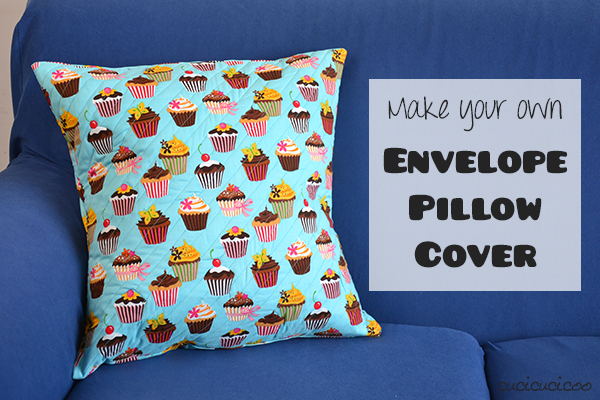 Earlier this week we covered hemming, so today I’ll show you how to sew an envelope pillow cover! These covers (or shams) are wonderfully versatile and don’t require a zipper closure, so they’re super easy to whip up. 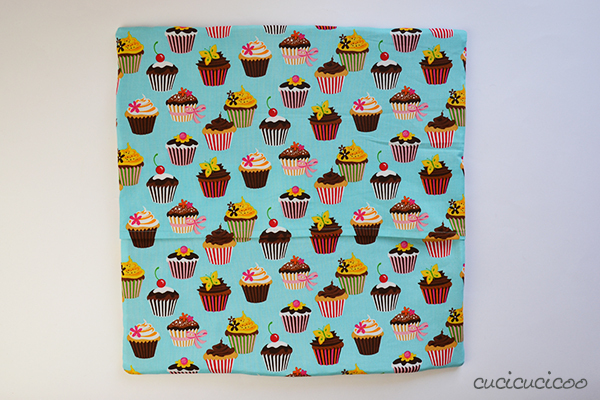 And what an incredibly fast and simple gift a covered pillow makes for the holiday season! 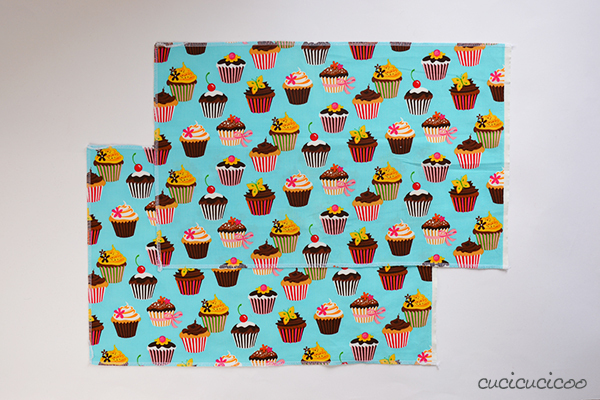 Use any cute fabric, and you’re sure to have a happy gift recipient! 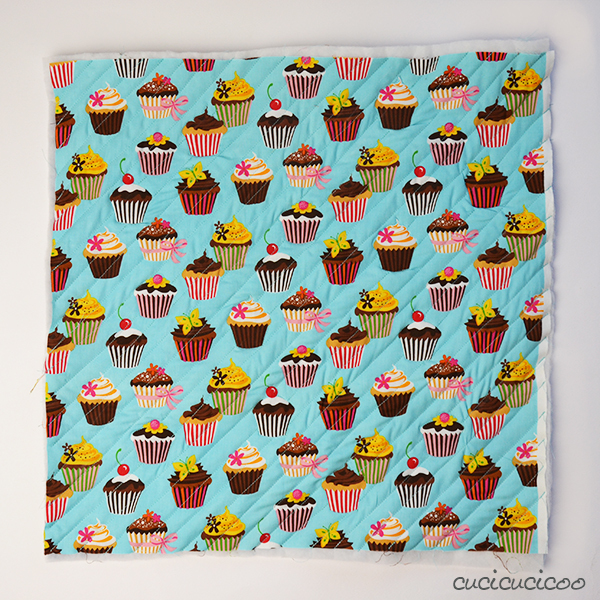 But even better is a quilted pillow cover! 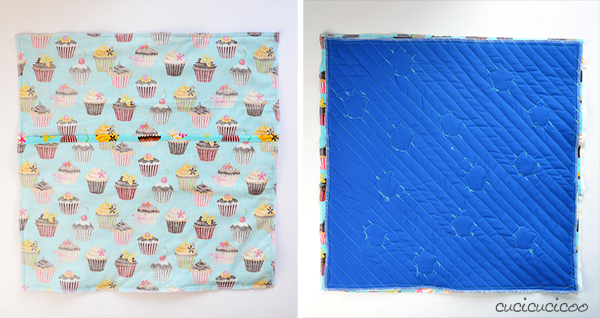 If you’ve been following this sewing course, you might have already sewn a simple quilted square that is just perfect for this project! Let’s get started! You can use this technique for any size pillow, but I will be making a pillow cover for a 50 x 50 cm (20 x 20 inches) Ikea pillow insert. Cut out one 50 x 50 cm (20 x 20″) square (or use the quilted square) for the front and two 32 x 50 cm (13 x 20″) pieces for the backing. If you are using a directional print, cut the backing pieces with the long side along the crosswise grain (see Lesson 2 for more information about directional prints and grain). So, if your pillow insert is 40 x 40 cm (16 x 16″), the front piece should be 40 x 40 cm (16 x 16″) and the two back pieces 27 x 40 cm (11 x 16″). One edge of each of the back pieces will be exposed, so we need to hem those edges. If using a solid color or a non-directional print, just choose one long side of each piece. If your fabric has a directional print, make sure to hem the bottom edge of one and the top edge of the other, as you can see in my example. Fold the fabric edge over 1 cm (3/8″), or less if you can and iron, then fold again by 1 cm (3/8″) and iron again. Pin in place. Sew down the folds with a seam allowance slightly less than 1 cm (3/8″). Remember the cereal box trick that I showed you in my hemming lesson? I didn’t use it for this project and you can see that my hems are not absolutely perfect, but a little bit wavy. Position the front piece on a flat surface, right side up. Position the back piece with the bottom hem on top of it, wrong side up, aligning the top edges. Now position the second back piece (with the top hem) on top of those pieces, wrong side up, aligning the edges on the bottom of that back piece and the front piece. Pin all three layers together. 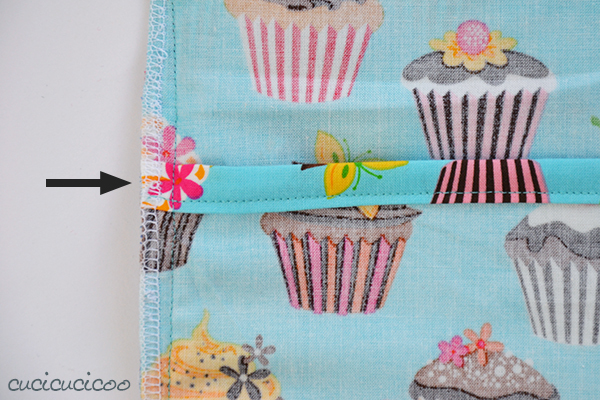 Sew all around the edges of the square with a 1 cm (3/8″) seam allowance. You do not need to leave an opening for turning, as we did with our easy potholders, because of the opening left between the two back pieces. 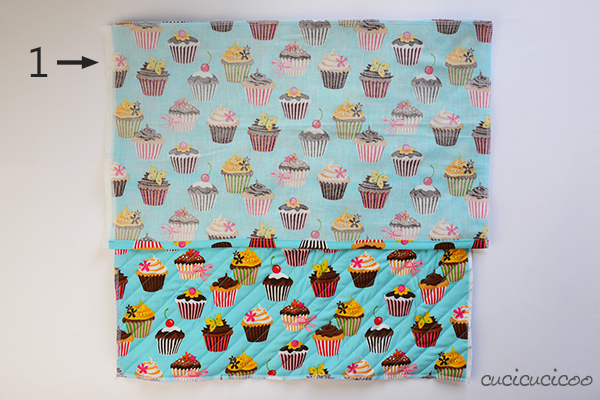 You may notice that my quilted piece shrunk a little bit because of the quilting. If this happens to you, just flip everything over after pinning, and sew calculating the seam allowance from the edge of the smaller front piece. Notice that we sewed right over the three overlapping layers at the back opening. Make sure that this part of your pillow looks like what you can see in the picture above. Note: One reason why I love throw pillow covers is that you can remove and wash them so easily, which is important when you have young kids and/or pets. However, remember that regular woven fabric will fray in the wash if you haven’t finished off the edges. There are different ways to protect fabric edges, but the most simple way on pillows like this is to zig-zag the edges. We still haven’t gotten to the zig zag stitch, though, so I suggest you either a) don’t wash your pillow cover until I get to the zig zag lesson (edit: here’s the zig zag lesson!) 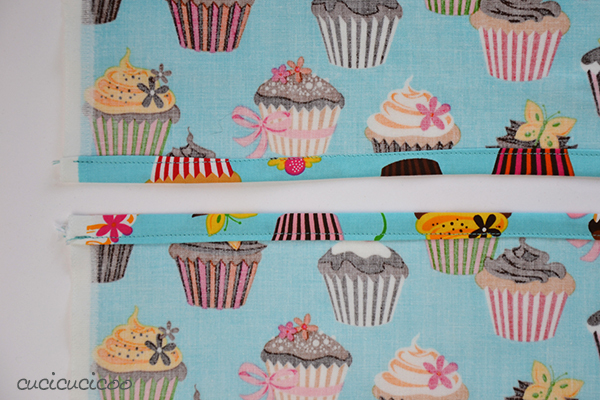 or b) trim the fabric on all four sides with pinking shears *, which make fabric fray less. If you choose this second route, you might want to first sew around a second time about 1/2 cm (1/8″) outside of your previous stitching, to keep any fraying from reaching your main stitching. I usually finish off inside edges with my overlock machine (aka serger), which is what I did in this case, but if you are a beginner sewer, you probably don’t have this type of sewing machine. Turn your pillow cover right side out through the opening between the two back pieces and iron it flat. If you’re super fancy, you can calculate the amount of fabric taken up between hems and overlapping and try to get the fabric print to match up on the two back pieces, but don’t sweat it if it doesn’t match up because a) it’s on the back where nobody will see it and b) once you put the pillow insert inside, the fabric will puff out more in the center and the print won’t line up anymore. Stuff your pillow insert inside the pillow case, sticking the corners of the insert into the corners of the pillow case. And you’re done! 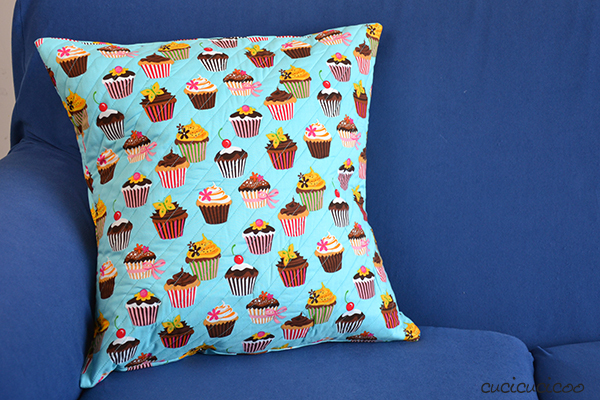 A couch or bed full of fun, colorful throw pillows is just so comfortable and inviting! My kids (and all the other kids who come over) love sitting on them, making forts and toy beds with them or snuggling up on them while watching a movie! And what a wonderful idea for a quick DIY gift! You can customize pillow covers with all different types of fabric and/or ways of embellishing fabric, that you can always come up with something for everyone on your holiday gift list! 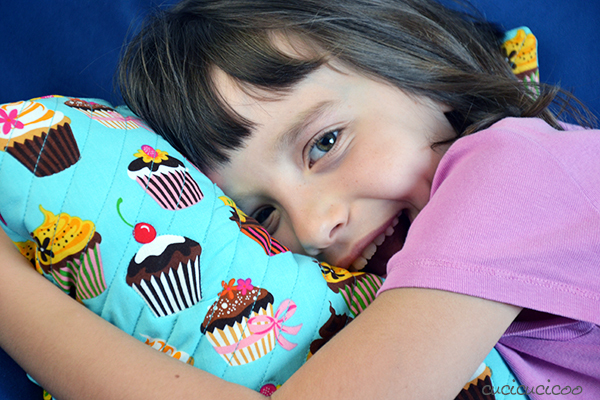 I actually made this pillow as a gift, but my daughter loved it so much that I just let her keep it! 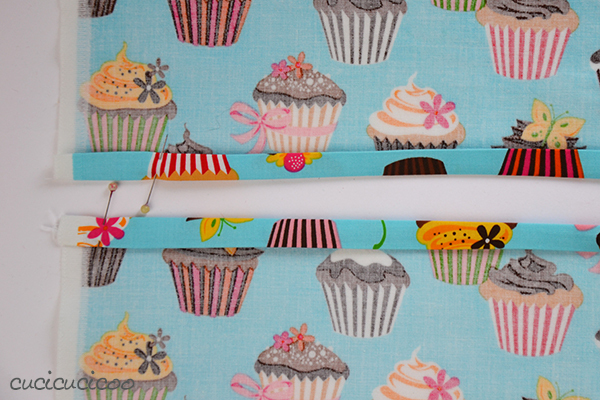 Remember to come back next week for another sewing lesson and a useful tutorial for the gift-giving season! 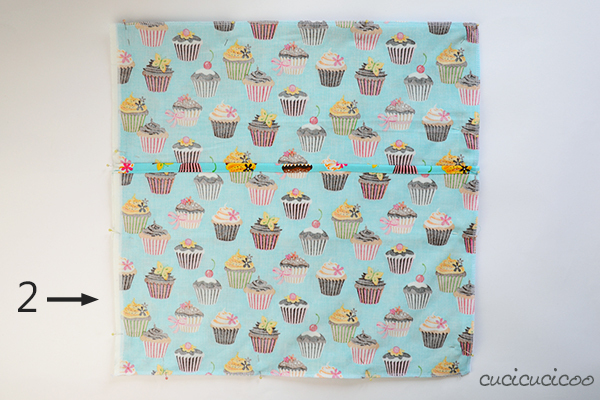 This tutorial is part of the Cucicucicoo beginner’s sewing course! Lisa sei stata chiarissima e hai realizzato proprio un bel cuscino!!! L’apertura a busta a me piace molto e la utilizzo spesso. Un bellissimo cuscino e un tutorial chiarissimo, grazie!! Grazie a te, Sara, per il commento! Buon weekend anche a te!